Agricultural economic development opportunities are being developed in the Mountain Resources Commission (MRC) region. Both Polk County and Henderson County have hired agricultural economic development specialists to work with entrepreneurs and farmers to bring value-added products to the region. Regional infrastructure and support for these efforts already exists. The region has established transportation routes to bring in needed supplies and get products to market. A nationally recognized agricultural research program is already in place. Existing farm supply and packaging companies, coupled with generations of business-minded farmers and a population that recognizes the value of locally produced products, gives Western North Carolina a competitive advantage over many areas of the nation. These farms have built and sustained agrarian societies for centuries, and have the ability to continue to do so. It is these soils, our abundant natural water supply, our climate, and our farmers that allow high yields of food and fiber production that is the envy of many regions across this nation. This region has and can continue to compete with any in the world. Why preserve the farming, forestry, and horticulture industry in North Carolina? Sixteen percent of the state’s workforce is enrolled in agriculture/agribusiness related jobs. Agriculture/agribusiness accounts for more than 17 percent of the state’s income. The state’s forest products industry is the largest manufacturing industry in North Carolina. Forest products industries paid annual wages of $2.7 billion. The total economic impact of North Carolina’s green industry was $8.6 billion in 2005. The green industry employed nearly 152,000 people across the state in 2005. The state lost 1 million acres of forestland between 1990 and 2002, over half of this loss to urban development. Since 2002, North Carolina has lost more than 3,700 farms and over 660,000 acres of farmland. 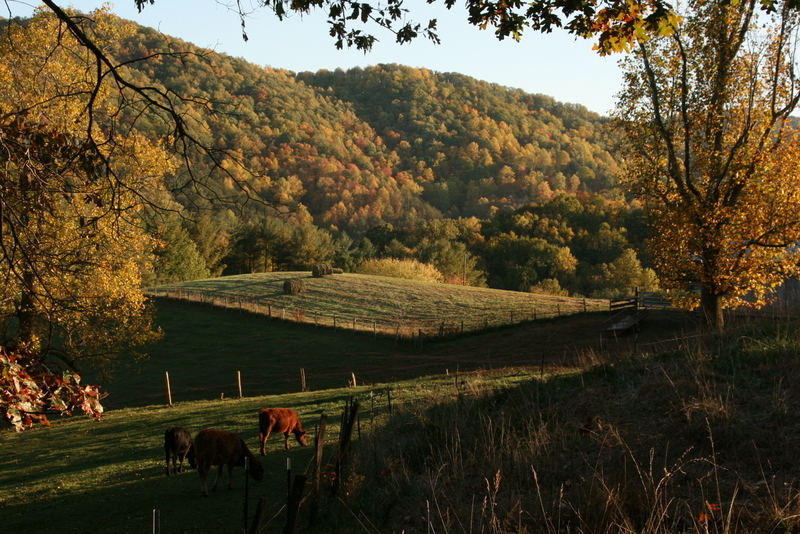 Western North Carolina is leading the state in farmland protection initiatives, such as Voluntary Agricultural Districts and Farmland Protection Plans. Buncombe County alone has appropriated more money for conservation easements than any county in the state. This has allowed several thousand acres of farmland to remain in farming, remain in the tax base, and be protected from development. This region recognizes that agriculture is important for many reasons to the culture and economy of Western North Carolina. All photos courtesy of the Farmland Values Project. Brown, M.J., B.D. New, S.N. Oswalt, T.G. Johnson, and V.A. Rudis. 2006. North Carolina's Forests, 2002. Resource Bulletin SRS-113. Asheville, NC: USDA Forest Service, Southern Research Station, 63 p. Accessed October 2015 from: http://www.srs.fs.usda.gov/pubs/rb/rb_srs113.pdf. North Carolina Department of Agriculture & Consumer Services. North Carolina Agriculture Overview. Accessed October 2015 from: http://www.ncagr.gov/stats/general/overview.htm. North Carolina Forestry Association. FP Industry in NC. Accessed October 2015 from: https://www.ncforestry.org/nc-forest-data/forest-products-industry-in-north-carolina/. North Carolina Green Industry Council. Who We Are. Accessed October 2015 from: http://www.ncgreenindustrycouncil.org/about/who-we-are.aspx. U.S. Department of Agriculture, National Agriculture Statistics Service. Census of Agriculture, 2012 Census Publications. 2012 Census Volume 1, Chapter 1: State Level Data. Table 1. Historical Highlights: 2012 and Earlier Census Years. Accessed October 2015 from: http://www.agcensus.usda.gov/. Statistics used are "farms" and "land in farms" from 1997, 2002, 2007, and 2012. Farms are defined by the U.S. Department of Agriculture as any place from which $1,000 or more of agricultural products were produced or sold, or normally would have been sold, during the year.